Do you ever have trouble with people showing up late to meetings? 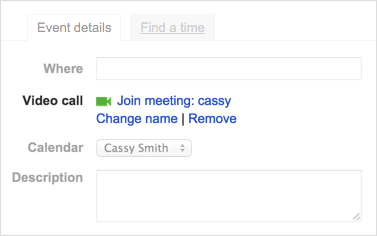 With Google Hangouts you can schedule Hangouts to ensure that everyone shows up at the appropriate time. By default for G Suite users, a video call is added to all new events in Google Calendar.